Whether you’re preparing a feast for a dinner party, a nutritious meal for the family, or your weekly meals for yourself, the Bella Triple Slow Cooker is your new favourite kitchen accessory. With each of the pots holding 1.5 quarts, there’s ample space to create one large dish or mix it up with a variety of a few amazing creations. This slow cooker is perfect for entertaining friends and family as you’re able to have your recipes hot and tasty without serving up any cold dishes. 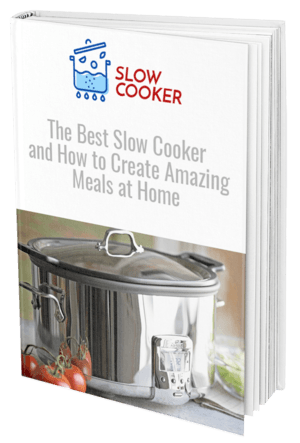 When using the slow cooker for yourself, why not try a few different recipes and store some away in the freezer for those days when you don’t feel like do any cooking. 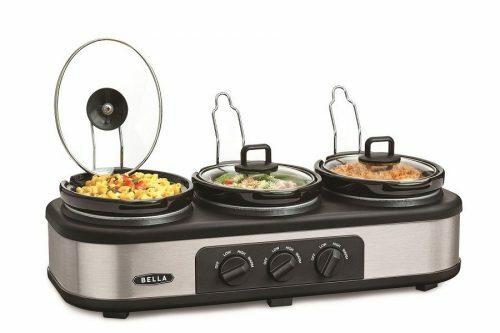 This Bella Triple Slow Cooker is the only kitchen appliance you’ll ever need to cover all of your favourite meals. This slow cooker has been designed with functionality in mind, presenting some great features for the home chef. With separate temperature settings for each pot you have the ability to heat low, high, or warm with your kitchen creations, and the handy spoon rest makes serving a breeze. 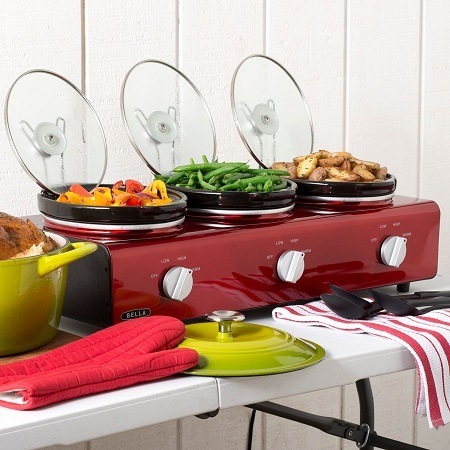 The handy lids can either stay closed or rest open effortlessly, depending on how you want to serve your guests. Whichever option, your food is guaranteed to stay warm with this ingenious design. Once you’re done cooking, simply rinse out the pots and place them in the dishwasher for a stress-free event. Made from stainless steel and stoneware, you’re guaranteed a quality product that will make your meals the hit of any party. Huge range of versatility with three standard 1.5 quart sized pots, all offering the ability to have their own temperature control. This product has been designed to serve others, with a handy resting spot for spoons to dish up the meals and the easiness of dishwasher-safe materials. All three pots are dishwasher safe and made from quality stainless steel and stoneware, so they won’t bubble or crack like other non-stick surfaces. For a big event, you may want to upsize with the next size of pot as 1.5 quarts may be limiting for larger groups. This slow cooker is the perfect addition to any dinner party, event, or home cooked meals. Your friends and family will be amazed at how fresh and hot it keeps your meals, whether it’s soups, sauces, or chili. The three separate pots in this slow cooker mean you can mix and match recipes, or if you have a favorite you want to focus on you can divide between the three. While there are three pots, the capacity of all of them only adds up to 4.5 quarts so it’s not the largest available. This size would suit small parties only, or a standard family event. Overall, this product is amazing worth for money and one that will add value to your family’s dinners and celebrations for years to come. 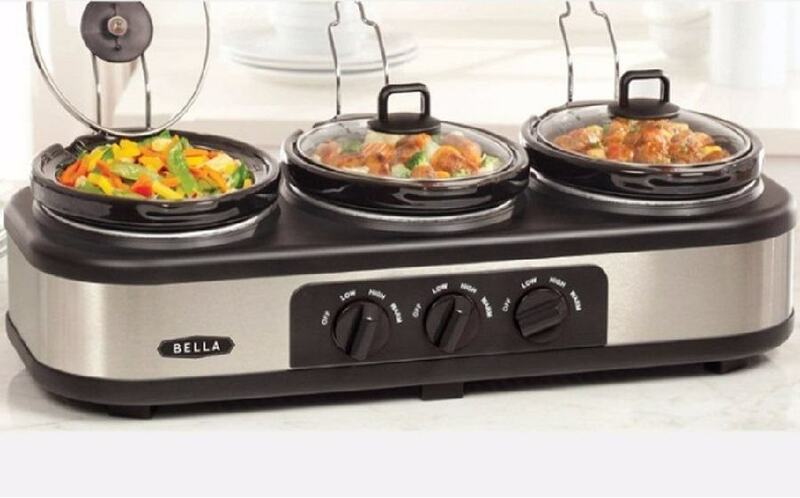 To let the Bella Triple Slow Cooker be the superstar of your next dinner or event, click on the button below to purchase.